What, no album cover? That’s because this isn’t really an album: It’s a time capsule. Robert W. Morgan was a DJ who, like Casey Kasem, was syndicated on stations across the country. In fact, the Special of the Week often ran on the same stations as Kasem’s America’s Top 40. But we’re talking about the pre-intergooglewebtubes era, when recording, packaging, and sending a show to hundreds of stations wasn’t as simple as zipping up a file. Instead, Morgan recorded the show, along with promos and commercials, and the whole shebang (a word we used back in the old days) was slapped onto vinyl and mailed to the affiliates. Some lucky DJ’s job was to throw the show on the turntable and go do blow with a radio groupie. That’s not true. The segments are broken up so that they can be interspersed with local commercials, longer songs, local DJ banter, etc. Pretty cool. In some future “From the Stacks” we’ll feature another unique flavor of radio station vinyl: The one-sided interview. On these albums, an artist answers questions that are conveniently included on an enclosed cue sheet. The DJ’s job was to record the questions so that it sounded like he or she was having a chat with the artist. Even cooler! I love these things. They’re weird, wonderful oddities that flesh out a collection. 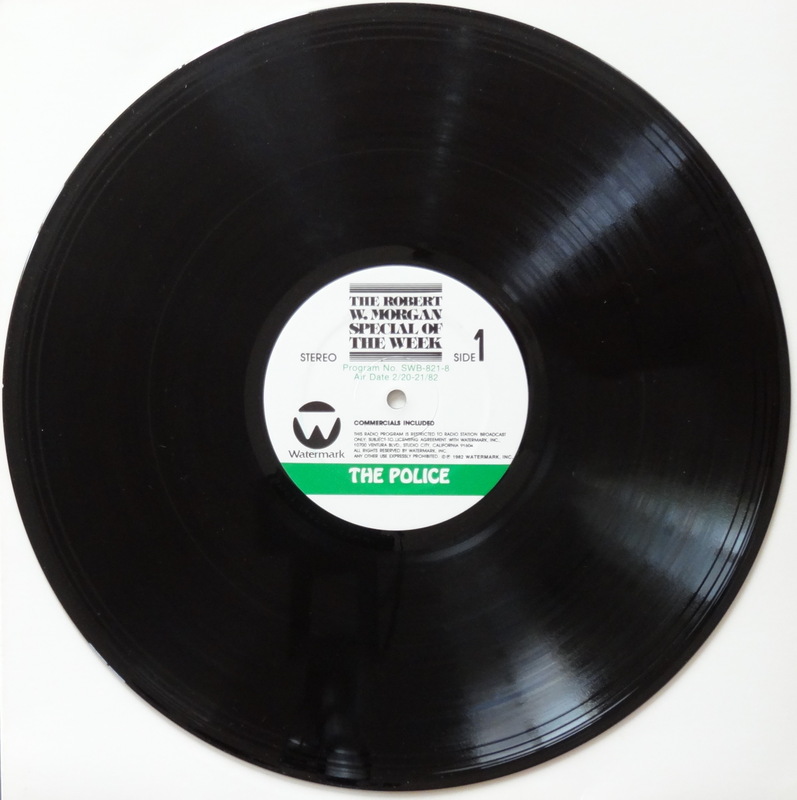 The Police only released five studio albums, after all, and they each sold a bajillion copies. Want rare Police that isn’t a bootleg? This fits the bill. I’m not the norm on this one, though — most people could care less about these oddballs. You can find Special of the Week copies for anywhere from two bucks to $30, depending on the artist. Happy hunting. Want to hear one? Nobody’s uploaded this edition onto YouTube, but here’s a cool Queen copy. Man, I really want a Michelob right now!